Obtaining the best performance from your computer when you are completing a specific task is possible thanks to tools like JetBoost. 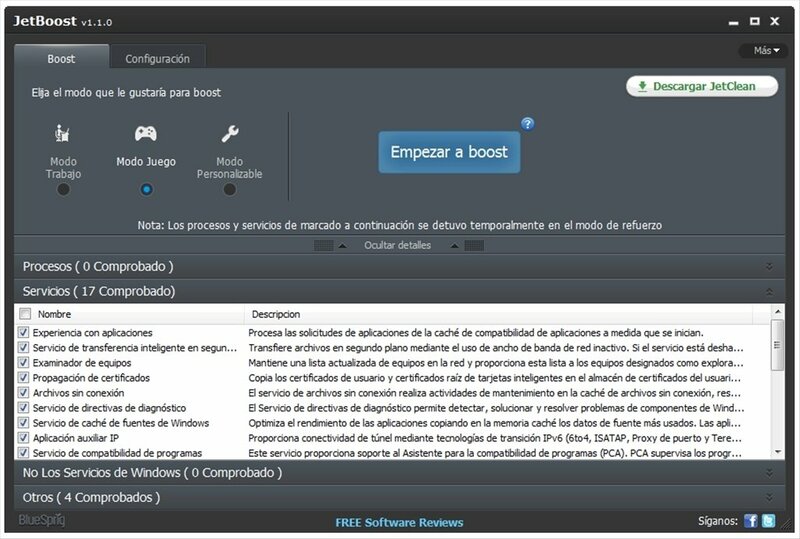 This tool will take care of managing the processes and system services based on your work: if you are playing a game or working with high consumption software, JetBoost will adapt the resources to your needs. Live at full throttle thanks to JetBoost. Activate JetBoost with a single click and deactivate the processes and services which you aren't going to need. Launch game in an optimized way focusing your system's resources on them and enjoy an improved experience. Do the same while you work. Get rid of possible distractions. 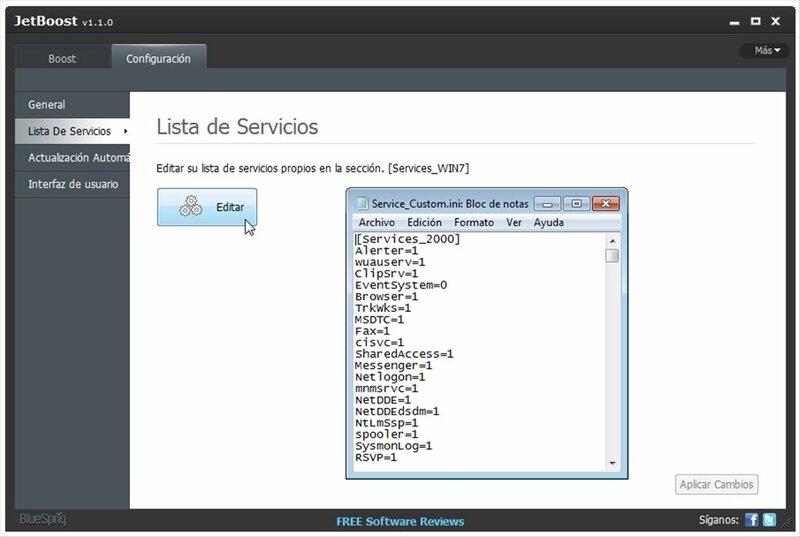 Customize your own resource management module with those applications that you want to disable temporarily. The only thing you have to do is select the mode of use and view the active processes and services at the bottom of the interface. Browse through them deactivating the functions that you don't need. 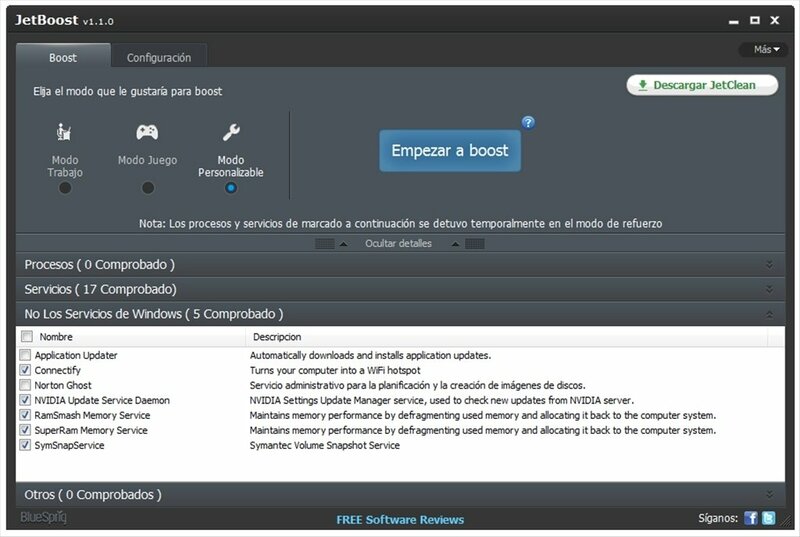 To activate the software you only have to press the 'Boost' button, after which you'll obtain the percentage of increased performance. 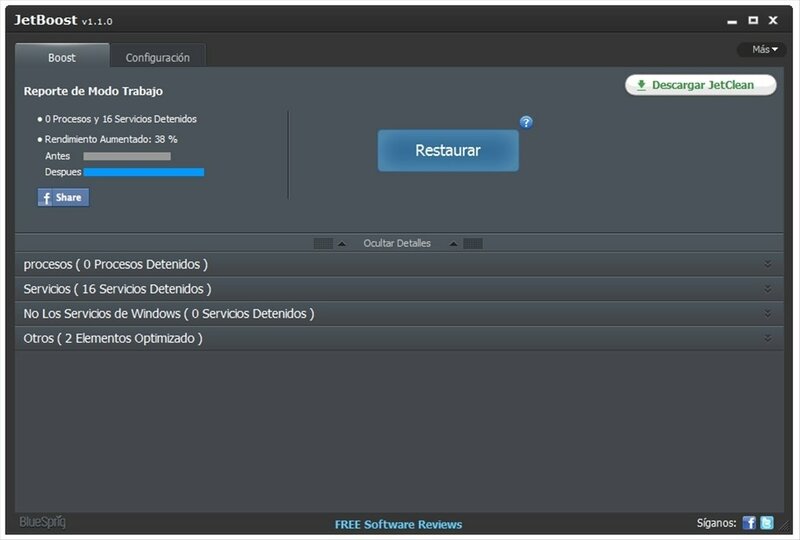 The interface is simple and is distributed into a couple of tabs: one to select the working mode and another for the options. Among them you will find the possibility to make the interface transparent. It isn't exhilarating, but showiness isn't what is sought from this program, only the most simple efficiency. And it has it. 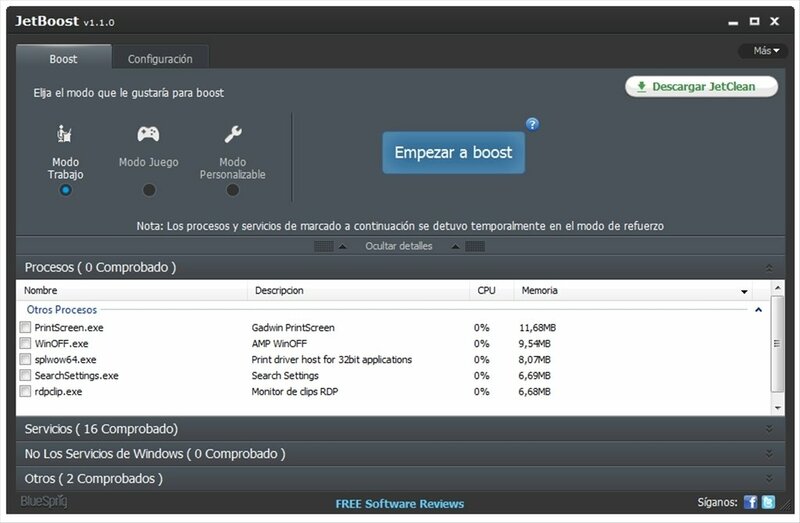 Download JetBoost for free to optimize your computer each time you have to work or play.